A project offering hope for one of the UK’s rarest bumblebees has been launched on the Peak District moors. 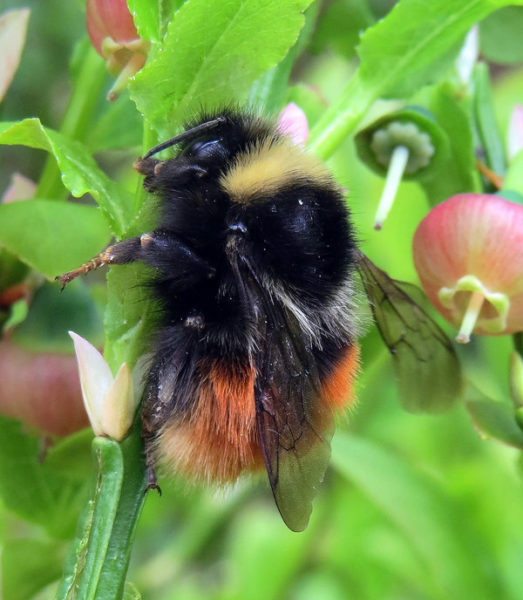 The aim is to boost populations of the threatened Bilberry bumblebee by planting 1,000 bilberry plants inside specially designed grazing-proof metal cages on Hathersage Moor. Bilberry bumblebees have suffered a dramatic decline in recent years. They were once found widely across north and west Britain, but the Peak District is now one of their last strongholds. Even there, this cold-loving upland species is expected to decline further because of climate change.